Cyber crime is a major area of concern for corporates, industry experts said Friday and called for creating a national-level agency to evolve a fine balance between cyber data protection and privacy of individuals. "Cyber secrecy and network security are extremely relevant in today's context," said Pawan Duggal, chairman of Assocham's cyber law committee. "Both the requirements of national sovereign government as those of balancing the needs of data protection and privacy have to be appropriately addressed," he added. He also emphasised the need to ensure that relevant stake-holders are not burdened with costs of compliance in a manner that makes it difficult for them to run a business. 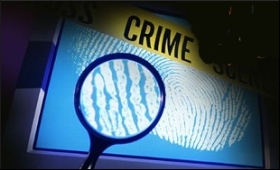 B. Bhamathi, additional secretary in the home ministry, said the government is working on a Rs.2,000 crore criminal tracking network project which is aimed at seamless connectivity among 16,000 police stations across the country, allowing them to share information on crimes and criminals in real-time. She said risks in cyber space have the potential to damage national security, businesses and individual civil liberties. "Cyber security can be achieved if interwoven with corporate governance." Peter Swire, professor at Moritz College of Law at Ohio State University, US, emphasised the vital role of data encryption in safeguarding the digital economy. Strong encryption is feasible and is the correct answer as fast innovations take place, said Swire, who was earlier special assistant to US President Barack Obama.